The past three months in Sri Lanka have been a mixed bag, of frustration and hampered progress on some of our larger projects and encouraging headway on our more community-level ventures. The political backdrop of this trip was vibrant and at times volatile due to the holding of the Northern Provincial Government elections and the Commonwealth Heads of Government Meetings (CHOGM). The Government was also preoccupied with preparations for the forthcoming return to the United Nations Human Rights Commission in March of 2014. A highlight of this period was having 15 overseas volunteers work alongside local counterparts on a range of projects. 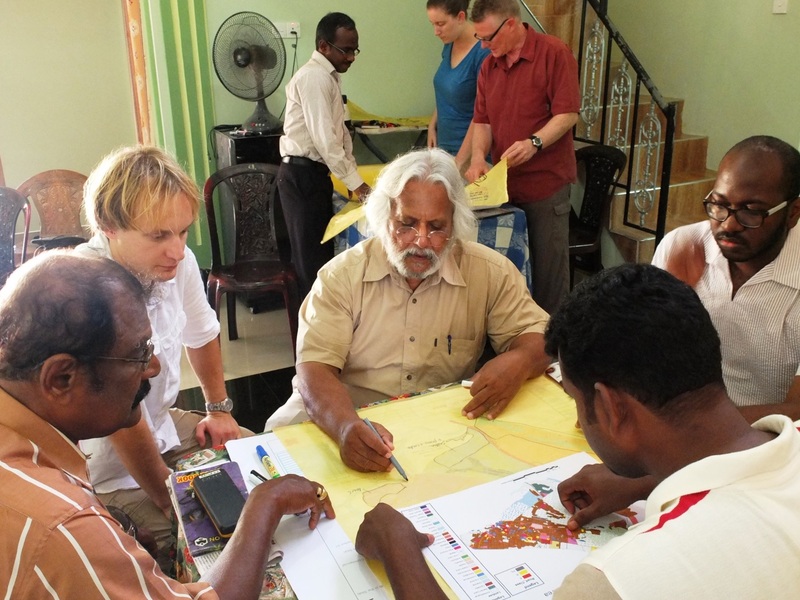 Although our town planning initiatives didn’t quite go according to plan, Diaspora Lanka brought out 11 Australian planning professionals who assisted to fast-track the Mannar urban development plan. Two volunteers came from Estonia to work on a community tourism strategy and an English-based activity program, while two further volunteers from Vietnam and Australia focused on establishing an ‘English as a Second Language’ (ESL) program. Other pleasing developments included the progress made on establishing a rice mill so that women made vulnerable by the war can earn a daily income and the establishment of the Computerizing Mannar Villages initiative for children and youngsters in two more remote areas of Mannar. The United States has no genuine interest in accountability or reconciliation in Sri Lanka, but is seeking a strategic military base in Asia, says Tamara Manimekhalai Kunanayakam, onetime Sri Lanka’s Permanent Representative to the United Nations Office at Geneva and Sri Lanka’s Ambassador to Holy See. In a wide ranging interview with Ceylon Today, Kunanayakam said, the US would demand more concessions using the resolution as a tool and charged the UN Rights Chief as a ‘US instrument’ doing Washington’s bidding. Kunanayakam also alleged the resolution was aimed at demonstrating Sri Lanka’s alleged failure to demonstrate accountability and to showcase the island as a failed State to maximize on concessions, including a demand to create a US military hub in Sri Lanka. It is an honour to address you in my capacity as Chairperson-Rapporteur of the Working Group on the Right to Development. It is the first time that the Assembly has invited me to present an oral report, instead of an update, of the 14th session of the Working Group, and to engage in an interactive dialogue with the Third Committee. I thank you for this invitation. 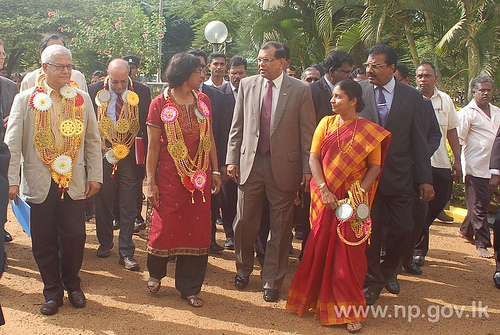 UN High Commissioner for Human Rights Her Excellency Ms. Navanethan Pillay met Hon. Governor, Eastern Province Rear Admiral Mohan Wijewickrama on 28th August 2013 at Governor’s Secretariat in Trincomalee. H.E. Mr. Ravinatha Ariyasinha, Permanent Representative of Sri Lanka to the UN Office at Geneva, UN High Commissioners’ delegation and the Officials of the GoSL also present at the event. A discussion on the development of Eastern Province after the conflict was held at this meeting. Her Excellency Navanethem Pillay, United Nations High Commission for Human Rights arrived in Sri Lanka on a 7 day official visit. She was accompanied by five senior officials of the UN Human Right Council. 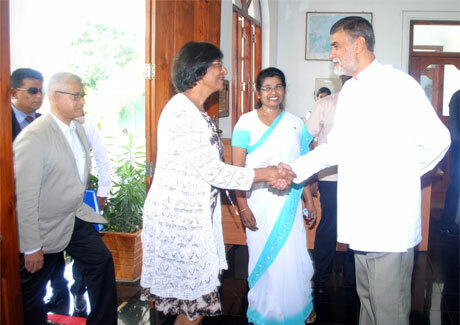 During her tour to the north part of Sri Lanka, she met Governor of Northern Province GA Chandrasiri at his office in Jaffna on 27th August 2013 and had discussion regarding the current situation of the province. Governor G A Chandrasiri had a breakfast meeting with UN High Commissioner and briefed the main development and reconciliation activities which took place after the end of hostilities in 2009. Governor gave a clear explanation to the questions raised by UN High Commissioner for human rights especially on resettlement, rehabilitation and land issues. Even before I was asked to convene the Task Force on implementation of the National Human Rights Action Plan, we had commenced at the Reconciliation Office a series of consultations with relevant Government officials as well as Civil Society, to develop suggestions as to how best the Plan could be taken forward. We had three such consultations which all produced a wealth of ideas, and these fed in to a meeting of the Task Force which looked in particular at Children’s issues. The Secretary to the Minister who chairs the Inter-Ministerial Committee sent out several requests on the basis of the decisions taken then, though we still need a clear directive from the Presidential Secretariat about swift implementation of the Plan. Unfortunately the next set of Consultations we had planned had to be postponed when I was suddenly asked to go to Geneva. I fear now that we will again have to devote time and energy to dealing with misguided criticism rather than moving forward with productive action. I suppose that has to be expected though, when Human Rights becomes a political tool rather than an entitlement for people that needs to be strengthened. I was delighted last week to be told that the Human Rights Commission was receiving assistance from the Asia Pacific Centre which coordinates work with National Human Rights Commissions. When, following my appointment to convene the Task Force to promote and monitor action on the National Human Rights Action Plan, I met the HRC, I had been told that such assistance had been requested. I asked for a meeting, since I believe that the HRC is one of the core elements in the promotion of Rights in Sri Lanka, but I heard nothing, and later I was told that they had said they were too busy to meet me. It was fortuitous that I found out they were present. During the Council of Asian Liberal and Democrats Congress that was held at Colombo, I noted the presence of the UN and on checking was told that a number of UN Human Rights personnel were staying. The Ministry of External Affairs knew nothing about this, but I then checked with the UN Resident Coordinator who was helpful as always, and said he thought it was the Asia Pacific people who were working with the HRC. The chairman confirmed this, and kindly arranged a meeting for me at short notice.